I missed the clinching game, but I did get a few pics of the celebration and a snapshot with the SAL trophy. The West Virginia Power rallied with three runs in the fifth inning and went on to a 4-2 win over the Hickory Crawdads Wednesday night at Appalachian Power Park in Charleston, W. Va. With the win, the Power took a 1-0 lead in the best-of-three South Atlantic League series. The series shifts to Hickory’s L.P. Frans Stadium with the Crawdads needing to win game two on Friday night to force game three on Saturday. Hickory took a two-run lead after four innings. Jairo Beras slapped an opposite field homer in the second and Carlos Arroyo’s RBI grounder doubled the lead. However, after Yohander Mendez dominated the Power the first four innings, a sloppy fifth inning was the turning point of the game. With one out, Chase Simpson doubled to left and Taylor Gushue powered a two-run homer to left. The inning continued when Tyler Filliben reached on a throwing error by shortstop Edwin Garcia. Mendez induced Kevin Newman to bounce into a comebacker. But, the potential, inning-ending double play fell apart the Mendez was slow to the bag at second and the Crawdads recorded only one out. Pablo Reyes singled to chase Mendez before reliever Joe Filomeno walked Kevin Kramer to load the bases. Filomeno struck out Michael Suchy, but the third-strike slider bounced away and allowed Suchy to reach and Newman to score the go-ahead run. After posting seven hits over the first five innings, the Crawdads went into a funk at the plate following the Power’s rally. Three West Virginia pitchers retired the final 13 batters of the game. The Power added an unearned in the seventh for the final tally of the game. Yohander Mendez plowed through the first four innings with only one hit allowed and struck out five. 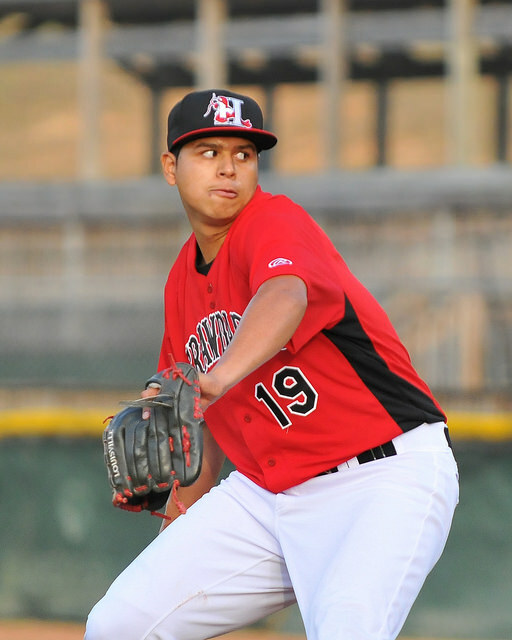 Joe Filomeno struck out five over 2 1/3 innings and allowed just the one unearned run in the seventh. Jeffrey Springs pitched a perfect eighth inning with one strikeout. Jairo Beras was the lone Crawdads hitter with two hits and doubled in the fourth. Missed Opportunities at the plate: The Crawdads put seven runners on over the first five innings and managed just a solo homer and an Arroyo’s RBI groundout after loading the bases with one out. Eric Jenkins doubled with one out in the third, but did not advance further. Jose Trevino doubled with two outs in the fifth and was stranded as Luke Tendler’s drive fell at the warning track. Missed opportunities in the field: A short-hopped throw to first by Garcia opened the door to the go-ahead run in the fifth. Yet, it was Mendez’s hesitation on a throw to second on what was described on radio as a routine double play ball that proved to be the key. In the seventh, 1B Carlos Arroyo’s throw went behind Filomeno covering first and allowed Pablo Reyes to score from second with two outs. Tyler Gushue hit his sixth homer overall this season. Two of those have come against Hickory. Pablo Reyes and Kevin Kramer each had two hits with a double each. Reyes doubled and scored an insurance run in the seventh. Kramer’s walk in the fifth loaded the bases for Suchy. Austin Coley walked the tightrope during much of his six innings, but the right hander, who won 16 games during the regular season, minimized the damage during the crucial fourth inning. Sam Street and Nick Neumann combined for three perfect innings with three strikeouts. Crawdads Playoff History: The Crawdads will make their tenth playoff appearance in 23 seasons since joining the South Atlantic League in 1993. It is the first appearance since 2011. 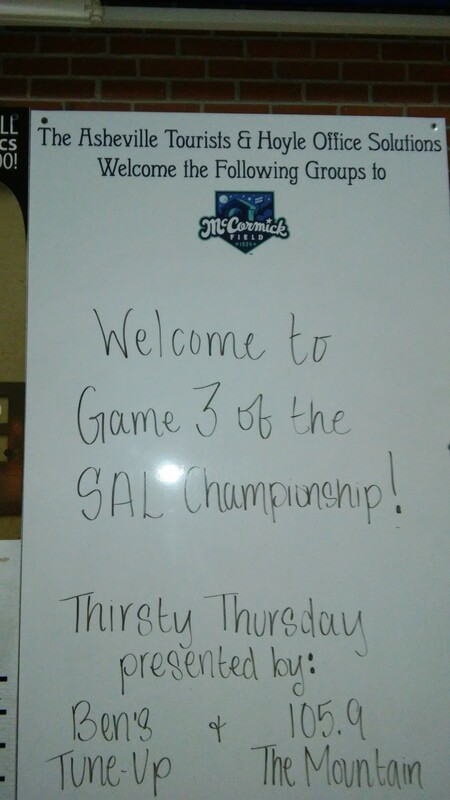 This will be the third trip to the playoffs during the seven seasons the Crawdads have been affiliated with the Texas Rangers. 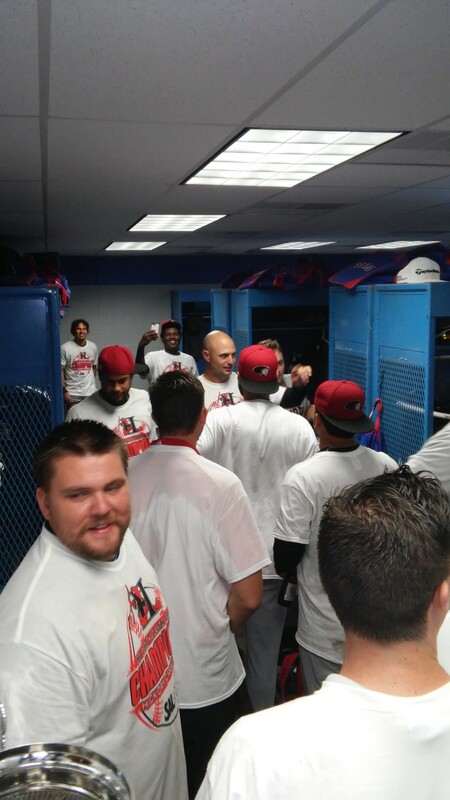 Hickory has won two SAL championships, both coming during the affiliation of the club with the Pittsburgh Pirates in 2002 and 2004. The Crawdads have not won a series since claiming the title in 2004, nor have they won a playoff home game since the clincher of that series. Power Playoff History: West Virginia has made seven playoffs appearances since staring South Atlantic League play in 1987. The lone SAL title came in 1990 as the Charleston Wheelers – a Reds affiliate – swept the Savannah Cardinals in three straight. This is the fourth playoff appearance under the name of the West Virginia Power (beginning in 2005), the second as a Pirates affiliate (2013), which began in 2009. Hickory/ West Virginia Playoff History: The Crawdads defeated the Charleston Alley Cats (Blue Jays) in two straight in the first round of the 2004 playoffs. The clincher of the 2004 sweep was the final game played at Watt Powell Park in Charleston. West Virginia (Brewers) took a 2-1 first-round series win in 2007. 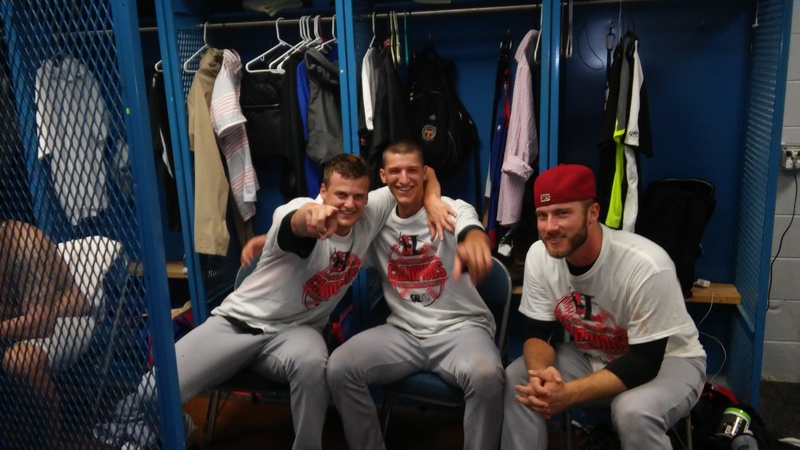 How Hickory Got Here: The Crawdads led the first-half Northern Division chase wire-to-wire, eventually finishing with a 44-24 mark, 7 ½ games ahead of second-place West Virginia. How West Virginia Got Here: The Power bullied the SAL in the second half and finished 50-20. It was the first time a SAL club had 50 half-season wins since Augusta turned the trick in 2007. West Virginia finished ten games ahead of second-place Delmarva in the second half and 13 games ahead of fourth-place Hickory. Mendez: After pitching in a piggyback arrangement with Ariel Jurado much of the season, Mendez split off on his own late in the season. After allowing more than two runs just once in his first 19 outings, the lefty gave up four in five innings to Greensboro on August 23 and five to Delmarva in 3.1 innings on September 1 to close out the regular season. He gave up one homer in each of those outings, the only long balls he allowed this season. Mendez finished the season with a 2.44 ERA and a 1.09 WHIP. SAL hitters batted .230 against Mendez in 2015. His struck out 74 and walked 15 in 66.1 innings. Against West Virginia in 2015, Mendez allowed one unearned run on three hits, two walks and struck out seven in eight innings (two appearances, one start). Relievers: Scott Williams likely will get the first look for a save situation. The right-hander picked up ten saves in the second half and built a 40-to-7 strikeout-to-walk ratio in 31.1 innings in the second half. In three outings vs. the Power in 2015, Williams allowed one run – a homer to Michael Suchy on June 19, on three hits and struck out two over four innings… Joe Filomeno gave up two runs to the Power late in a game on August 16… Shane McCain was roughed up in an outing vs. West Virginia on August 15 (2.1 IP, 4 H, 5 ER, 1 BB, 2 K…Having not pitched since September 2, it would not be unusual to see 2015 first-rounder Dillon Tate get an inning in the middle of the game. Manager Corey Ragsdale indicated that Tate and Luis Ortiz would be available for action in the series… Adam Dian (5 saves) threw an inning on Monday’s win. He has pitched out of the pen on one day’s rest just once. Coley: The 23-year-old right-hander made all 27 starts this season and seemed to finish strong as he allowed one earned run in each of his last four starts (26 innings). Coley has showed good command with 111 Ks to just 25 walks in 147.2 innings. A fly ball pitcher, – He holds a 0.88 GO/AO ratio – Coley is susceptible to the long ball, having allowed a SAL-high 18 this season. The Crawdads touched him up for three in a loss back on August 14. Hickory has had perhaps the best luck against the 16-game winner tagging him for 20 hits over 11 innings in two starts. Among Crawdads hitters, Carlos Arroyo is 4-for-6 this season with a homer and Luke Tendler has doubled and homered in four plate appearances. Jairo Beras went 2-for-2 with a double. Relievers: Nick Neumann is the Power close with 17 saves in 19 chances. He threw two perfect innings against Hickory this season, both coming in the first half… Other key relievers will likely include Sam Street, Jared Lakind and Julio Vivas. Of the trio, only Lakind (1 IP) has faced Hickory this year. Late season injuries to Josh Morgan and Michael De Leon put the Crawdads into a mix-and-match mode on the infield. Catcher Jose Trevino and third baseman Juremi Profar are the two likely certainties around the diamond. Ragsdale indicated that Edwin Garcia will likely play short and newcomer Dylan Moore will place second. Carlos Arroyo, who played second most of the season, was stationed at first the final two games of the season and handled the position without a problem. With his output against Coley (4-for-6) this season, and his success against the Power this season Arroyo may get the first look with Chuck Moorman and Jonathan Meyer available off the bench. Arroyo is the lone active Crawdads player to hit over .300 (6-for-15) against the Power in 2015. In the outfield, the arrival of 2015 second-round Eric Jenkins gives Ragsdale a different wrinkle in the lineup with his speed. He went 7-for-18 during his five-game audition last week and he may well have earned some at bats in the series. 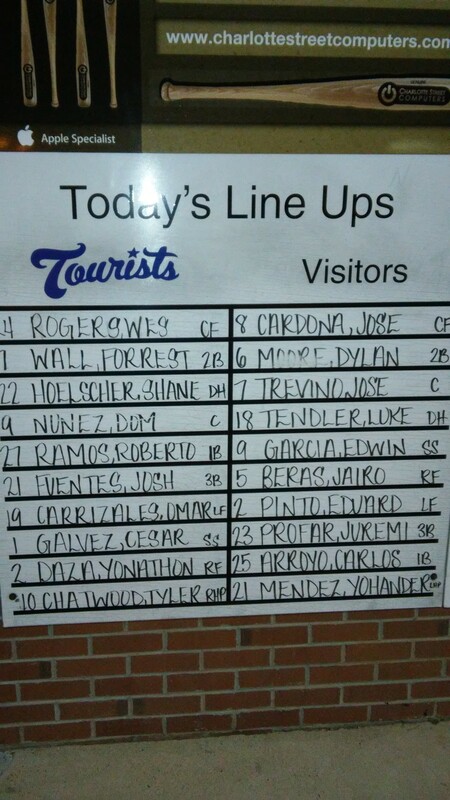 The likely lineup will be Luke Tendler in left, Jose Cardona in center and Jairo Beras in right. Tendler ended his season fourth in the SAL in RBI and total bases. Beras had a pair of homers and five RBI during a mid-June series in Charleston. However, he went 0-for-7 against the Power in August. Eduard Pinto may get a look at first on in the DH slot. The Power had only 18 position players on their roster this season with eight players taking the field for 99 or more games (Hickory has three in the expected lineup, though Pinto has 98 games). The team finished the season at the top of the SAL with a .269 batting average and a .347 on-base percentage. It’s a team that will play classic National League small-ball (90 sacrifices) to scratch out runs for what has been a shutdown pitching staff. They are very patient at the plate. West Virginia leads the SAL in walks and has the second fewest strikeouts this season. Behind the plate will likely be Taylor Gushue with Connor Joe – the Pirates No. 29 prospect (mlb.com) at first. Pablo Reyes and 2015 first-round pick Kevin Newman will play second and short respectively. Rounding out the infield at third will likely be Tyler Filliben, who has filled in for the injured Jordan Luplow. A talented group is stationed in the outfield with SAL all-star Michael Suchy starting in right. Suchy, the fifth-round pick of the Pirates in 2014, finished the season second in the SAL in runs scored and in RBI. A combination of Tito Polo, Elvis Escobar and Jerrick Suiter split up left and center, with Suiter getting many of the DH starts. Suiter and Esocbar finished fifth and eighth in the SAL in batting avg. with Escobar third in hits. Against the Crawdads, Escobar hit .355 (11-for-31) to lead the team among active players. The injured Luplow had two of the five homers struck against Hickory and he is tied with Suchy with five RBI. Other things to know: This is likely to be a pitching-and-defense series. Hickory and West Virginia finished tied with the fewest errors committed in the SAL and went 1-2 in WHIP. 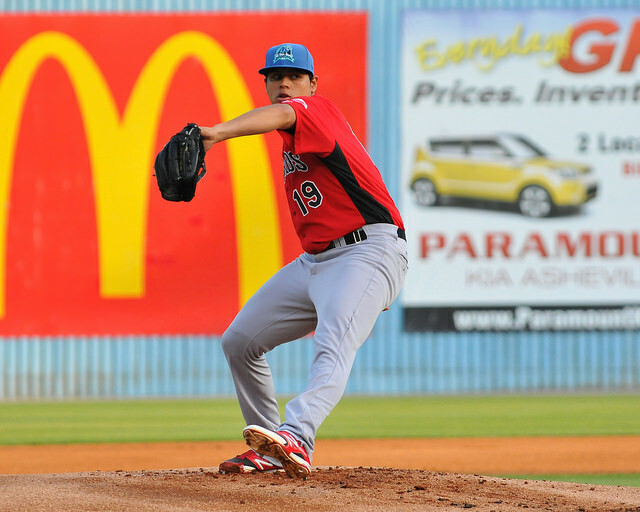 The Crawdads finished second in ERA (3.19) with the Power fourth at 3.38… Defending bunts had been a downfall for the Crawdads prior to their injuries and against a team that likes small ball, the revamped defensive alignment – especially with the likelihood of inexperience at first – could be a point worth watching… Both teams expect to win when they score first. The Crawdads went 54-14 when scoring first – tops in the SAL – and West Virginia was 59-16, which was second… Hickory has held up well under pressure as it was 71-4 when leading or tied after seven innings. In one-run games, the Crawdads are 27-16 with the Power at 19-22. The Crawdads posted an 8-2 lead before hanging on late to a 9-6 win over the Hagerstown (Md.) Suns Friday night at L.P. Frans Stadium. Hickory (63-39 overall, 19-15 second half) has now won 7-of-8, while the Suns (50-51, 15-19) have lost 12-of-18. Here is my game story from the pages of the Hickory Daily Record. The lineup: All nine hitters had at least one hit with Jose Trevino and Juremi Profar getting at least two. Hickory, especially the right-handers, continues to be pitched to on or just off the outside corner of the plate. For the most part, the hitters have been able to discern balls/ strikes –and attack or lay off appropriately – or it pitches up the middle or away. The few pitches that made their way over the inner half of the plate were hammered hard. None of the Suns trio of pitchers (Dave Van Orden, Luis Torres or Andrew Cooper) were able to present breaking pitches often enough to keep Crawdads hitters off stride, so it was easy pickings at times. Xavier Turner: His first two games with Hickory have certainly had its moments. In his first game last week at Asheville, he reportedly dislocated his shoulder on the first play of the first inning. Returning from the disabled list, Turner crushed a fastball to medium left-center. Thinking triple out of the box, he caught sight of Corey Ragsdale’s stop sign after rounding the bag at second. As he put the brakes on, he slipped and stumbled. With the throw coming into the second behind him, Turner made it to third and slid around the tag of 3B David Masters. At 6-1, 205 the Rangers 19th round pick showed good speed on the basepaths. He handled both plays in the field without concerns. Juremi Profar: Had a pair of doubles, both on off-speed pitches away, and would’ve had a third if not for a brilliant catch in right by Dale Carey on a leaping dive on the track. 7th inning ABs: Facing reliever Luis Torres, Josh Morgan spoiled fastball after fastball away before succumbing on a fastball low and in on the tenth pitch. Eduard Pinto then worked a nine-pitch AB into a walk, again spoiling a bushel (correct term?) of fastballs. Able to watch this sequence, Jose Trevino spit on a fastball off the plate and then crushed the next one out of the park in left. Yohander Mendez: Fastball command was a bit spotty, but he showed good arm action with the changeup that baffled the Suns hitters all night. Had 12 missed bats in 4.2 innings, all but two by my count coming on offspeeds. Didn’t use the curve as much on Friday, and what he did use was a bit loopy. But the change was definitely on. Finished at 77 pitches (49 strikes). Scott Williams: For me the pitcher that has taken the largest step forward in the second half is Williams. Friday night was mostly fastballs with an occasionally slider mixed it. Fastball 94-96 has life but the biggest thing is simply confidence to attack hitters with it. Chris Dula: A hit batter on the first pitch of the eighth, a single and two walks made Dula’s night a short one. Fastball is 94-96, but there is no control as to where it is going. Have to wonder if it at some point he makes a trip to Arizona. Ariel Jurado: Just never looked comfortable all night. He usually is a get the ball and let’s go kind of pitcher, but on Friday there was much more walking around the mound than I recall. Fastball seemed a tick down and did not have the usual precision, as he walked two in an appearance for only the second time this season. After the Hickory Crawdads came from behind twice, they scored three runs in the top of the ninth to claim a 7-4 win over the Asheville Tourists at McCormick Field. 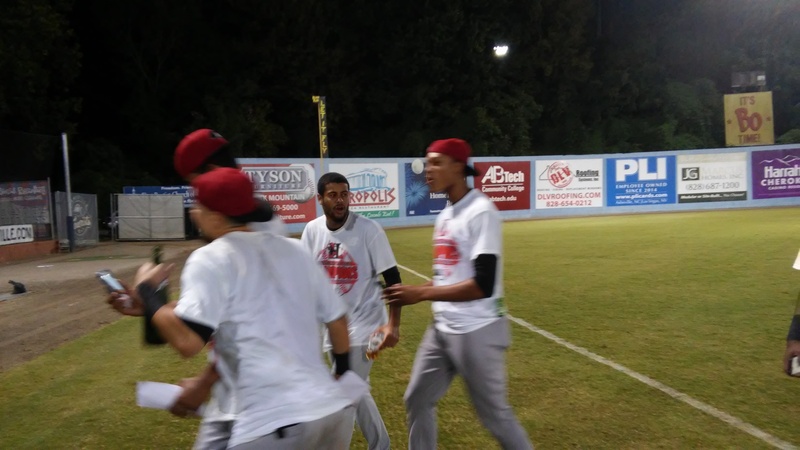 The Crawdads (58-38 overall, 14-14 second half) took two of three games in the series and finished the season series with the Tourists at 7-2. Hickory went 6-1 at McCormick this season and is 13-2 there over the past three seasons. The Crawdads take an overnight bus to Lexington, Ky. and open a four-game series with the Legends on Saturday. Asheville (49-48) dropped to 17-10 in the second half and remain a game-and-a-half in front of Augusta for the second-half, Southern Division title chase. The two teams combined for 25 hits, but stranded 15 altogether in what turned into a see-saw affair. Hickory put the first four runners of the game on base against Asheville starter Ryan Castellani with Jose Cardona scoring on Eduard Pinto’s single. The Crawdads missed a chance for more when Josh Morgan was thrown out at second trying to stretch a hit into a double. With runners on first and second and one out, Luke Tendler’s grounder forced Pinto at third, but 3B Josh Fuentes’ throw to first was wild placing Crawdads and second and third. Despite four hits and error, the Crawdads were held to the one run after Jairo Beras bounced out to the pitcher. The Tourists scored an unearned run on Crawdads starter Ariel Jurado to even the game in the first. Shane Hoelscher doubled with two outs and scored when Roberto Ramos’ grounder went through the legs of Jonathan Meyer at first. The Crawdads retook the lead in the third when Eduard Pinto was hit by a pitch and later scored on Luke Tendler’s sacrifice fly. However Asheville tied the game in the bottom of the inning as Omar Carrizales doubled to right and scored on Dom Nunez’s single to make it 2-2. The Tourists took their first lead of the game in the fourth against new pitcher Yohander Mendez. Ramos doubled and stole third before coming home on Fuentes’s single. Meyer’s RBI single in the sixth retied the game at three, but Juremi Profar’s double play ball stranded a runner at third. Again, the Tourists fought back in the bottom of the inning. Jairo Rosario led off the inning with a double and scored on Fuentes’s second RBI single of the game. Hickory answered in the seventh. Cardona doubled off the wall in left and moved to third on a Pinto’s sacrifice bunt. Trevino’s sacrifice fly to center made it 4-4. Asheville put runners at second in both the seventh and eighth inning, but stranded both. The decisive rally for Hickory came against reliever Jerad McCrummen (4-3) started when Profar doubled off the wall in right-center. Cardona beat out a bunt to put runners at the corner for Morgan. His liner to centerfielder Carrizales was just deep enough to score Profar, who slid around the tag of the catcher Nunez. Pinto singled in Cardona, then moved to third on a pair of McCrummen wild pitches before trotting home on Tendler’s double. Adam Dian had a successful debut with the Crawdads by retiring all five batters he faced to close out the game and pick up the win (1-0). Jose Cardona went 3-for-5 and scored three times, but it was his speed that factored into the equation in both the first and ninth innings. In the first, Cardona fought off Castellani’s change off, sending a soft liner that fell to second baseman Shane Hoelscher at the cut of the grass. Hoelscher made the play, but Cardona beat the throw to first and later scored the game’s first run. In the ninth, Cardona’s sacrifice bunt went between the mound and the third base line, with Cardona reaching just ahead of Fuentes’s throw. Cardona also cut down a runner trying for a double in the sixth. Josh Morgan had the key AB of the ninth. After falling behind 0-2 on two of McCrummen’s fastball, Morgan fouled off a slow curveball and let another go by for a ball. The next pitch was a fastball up that he lined into center for the sacrifice fly. Eduard Pinto ripped first-pitch fastballs for RBIs in the first and ninth inning. His sacrifice in the seventh moved Cardona to third from where he scored on Trevino’s sac fly. Jose Trevino had a couple of hits and a sacrifice fly. Luke Tendler doubled in a run in the ninth and made a leaping catch into the wall in right to rob Carrizales of a hit in the first. Juremi Profar’s double starting things in the decisive ninth inning. In scoring the go-ahead run in the ninth, Profar had to steer around Nunez, who had to leap to make the catch from center and then tried for the backhand tag. In the third, Profar made a backhanded stop off a short hop to start a 5-4-3 double play. Carlos Arroyo ran down a one-hop, soft liner off the bat of Yonathan Daza by ranging back and to his right. Because the ball held up, Ramos had to hold up at second and then failed to advance when Arroyo looked him back to the base. Arroyo then recorded the out at first. Jonathan Meyer stayed with a breaking pitch away from James Lomangio and sliced it along the line in right for a run-scoring single. Adam Dian: Showed a fastball 90-93, but took advantage of an aggressive lineup as he started the outing with several curve and changeups, getting Ryan Stevens to chase a breaking ball for a strikeout to strand a runner at second. 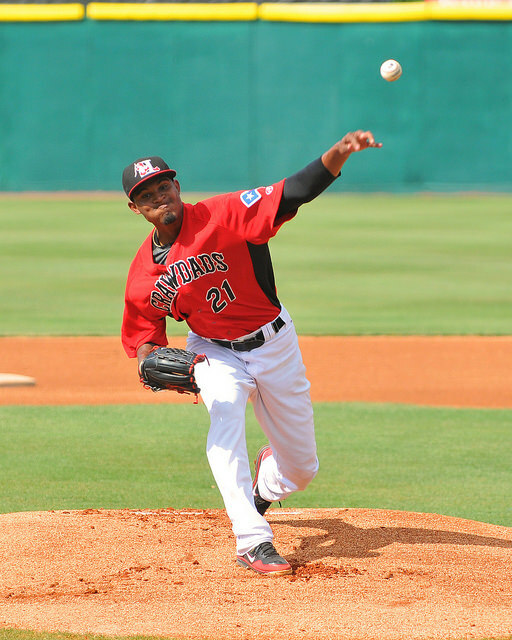 Yohander Mendez gave up nine hits over 4.1 innings, four of those by left-handed hitters. From my vantage point along the third-base line, it appeared righties were able to lean out over the plate and serve pitches up the middle or to right. A single on an 0-2 pitch by Rosario started the run-scoring inning in the sixth. Carrizales also singled on an 0-2 pitch in the seventh. McCormick Field turf: Carrizales’ double in the third happened when Luke Tendler slipped and took out a hefty divot as he attempted to make a likely catch on the liner. Carrizales eventually scored in the inning. The Hickory Crawdads begin a seven-game road trip with a three-game series against the Asheville Tourists at McCormick Park. The Crawdads are 5-1 against the Tourists in 2015, including a four-game sweep at McCormick back in April. Over the last three seasons, Hickory is 11-1 at Asheville and 20-16 since 2009. The Crawdads (56-37 overall, 12-13 second half) dropped the final two games of a series against Augusta to finish a weeklong homestand at 4-3. After scoring 38 runs in the first four games of the homestand, Hickory scratched out just five over the final three. The lineup is batting .254/.319.382 for the season in what has been a down year for offense in the South Atlantic League. Hickory is second in the SAL with 66 homers. After scuffling on the last road trip, the pitching staff returned to its old self by allowing seven earned runs over the last five games. Overall, the club leads the SAL in ERA (2.90), WHIP (1.17), and has given up the fewest hits, runs and earned runs. Defensively, the Crawdads have committed a SAL-low of 80 errors. The Tourists (48-46, 16-8) took the last three games at Greenville to close out a 5-2 road trip. Oddly Asheville is just 22-22 at home this season (5-4 second half), while carrying a winning record on the road. As usual, the Tourists bashed mound opponents at home (.278/.353/.442), but have only scored 20 more runs at home than on the road. Opponents are hitting .288 at McCormick and 41 of the 55 home runs allowed by Tourists pitching have occurred there. Asheville has 205 stolen bases this season to lead the SAL. Defensively, Asheville have the worst collective group in the league with 145 errors committed in 94 games (.961 fielding). OF Luke Tendler: He continues to be among the hottest hitters in the SAL, and certainly on the Crawdads. He is leads the Crawdads in total bases and tied with Carlos Arroyo for the most hits (28) in the second half. His 21 RBI are second in the SAL. For the year, Tendler is fourth in doubles (23) and fifth in total bases. CF Jose Cardona: Has become a catalyst for the offense since moving to the leadoff spot. Before ending the homestand 0-for-8, Cardona had a nine-game hitting streak during which he went 17-for-34, scored 12 runs, knocked in 10 runs and stole seven bases. A dead-red, fastball hitter, Cardona has a .304/.375/.532 slash leading off an inning. SS Josh Morgan: Has handled shortstop well since the injury to Michael De Leon, going 25 games without an error at the position. At the plate, he continues to hold up in his first full season. Morgan has shown a good eye with at least one walk in ten of his last 15 games (13 total) and has reached base in 15 of 18 games. 2B Carlos Arroyo: Went three straight games without a hit for the first time in his Crawdads career to close out the homestand. OF Jairo Beras: Hitting .288 in July and July and has 23 of his 26 RBI the last two months. SP Cody Buckel: Looking to corral control issues, has walked 15 batters and hit five in his last 23 innings (5 starts). He also has 16 Ks over last 15 innings. SP Brett Martin: After posting his shortest start of the year (1.2 innings at Lakewood), Martin put up one of his better ones in his last outing against Greensboro when he allowed two runs on five hits over seven innings. Martin threw three-hit ball over six innings at Asheville back in April. Ps Ariel Jurado/ Yohander Mendez: The tandem continues to wreck havoc on opposing lineups. In their five outings together, the duo has allowed 36 baserunners and struck out 39 over 34.2 innings. Separately, Mendez has a 1.15 ERA and a 0.90 WHIP in 39 innings, while Jurado has a 2.10 ERA and a 0.96 WHIP. CF Omar Carrizales: The Rockies No. 30 prospect currently leads the SAL in batting .328 and is fifth in OPS at .843. He has six multi-hit outings in his last ten games. The speedster has stolen 21 bases in 64 games. 1B Roberto Ramos: The native of Mexico has crushed the ball since joining the Tourists on July. In 16 games, Ramos has four homers and posted a .361/.420/.607 slash. The lefty is batting .421 against right-handed pitching. SP Ryan Castellani: The Rockies second-round choice in 2014 out of Phoenix is the No. 10 prospect. He has managed to put up good numbers and McCormick (4.33 ERA) and kept the ball in the park, giving up one homer in 27 innings. Castellani has thrown five innings just twice in 18 starts. SP Helmis Rodriguez: Currently the No. 27 prospect in the Rockies system, the lefty has walked seven and hit four in his last two starts, leading to 13 runs (9 earned) covering 5.2 innings. RP: Josh Michalec: The Rockies’ 21st-round selection out of Baylor has six saves in eight chances this month. He can be wild at times (8 walks in last 22.1 innings), but rings up strikeouts as well (42 in 43 innings. 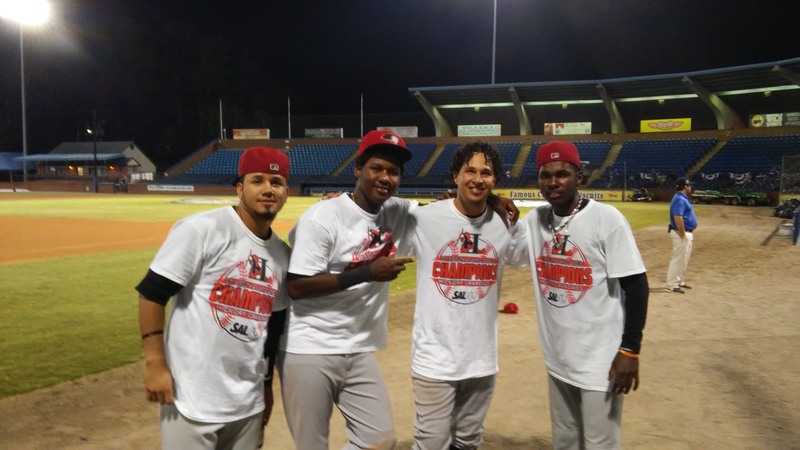 Sunday’s game (July 19 vs. Augusta) marked the two-thirds point of the South Atlantic League season for the Hickory Crawdads and the story of 2015 has been the pitching staff. Five starting pitchers and a reliever claimed spots on the South Atlantic League’s all-star team and the group has a chance to rewrite the Crawdads record book. With the final 46 games of the season still left to be played – plus the playoffs – the Crawdads have the potential to set single-season records in fewest hits, runs, earned runs, and homers allowed, as well as in ERA and WHIP. Texas Rangers minor league pitching coordinator Danny Clark was in Hickory this week to fill in for Crawdads manager Corey Ragsdale during his vacation. Clark had an extended, first-hand look at most of the pitching staff during his visit and he sat down with me to give an assessment of several individual pitchers. First I just want to get just an overview. We are almost two-thirds of the way through the season and this has been one of the better pitching staffs we’ve had here. Let me first get your overall impression from what you’ve seen. Clark: I think from the experience level that these guys have right now, coming into pro ball, most of them are one to two-year starters, to be able to do what they’ve done to this point, I think the biggest accomplishment to me is to make every start. That’s been a goal of ours to see from start to finish them being healthy. We’ve got two or three guys in the rotation who haven’t been able to do that in the past. So I think first and foremost, that’s our main goal. Let me ask first about the guy that wasn’t talked about a lot coming in – seeing him pitch, I don’t know why – and that’s Ariel Jurado. Pretty much from day one he’s six, seven innings when he’s started. He kept down the opposition and has developed some pitches along the way. Clark: I think in Jurado’s case, obviously, I’ve got to admit I didn’t see the high ceiling leaving instructs last year. Some of our pitching coaches were talking about changing a little bit on his arm slot and trying to get more of a run or a sink to his fastball. I think he took that in the winter and came back to spring training and was very impressive. He had a very good spring training, so he earned his right to get here. Then from that point on I think just the confidence level that he’s had. Oscar Marin has done a good job of trying to keep him continue to go forward. A lot of times guys, especially young pitchers that jump out record wise, they look at their stats. We throw out new competitions for him and his mind to keep that cultivating. That has been a big plus for him. Yohander Mendez and Jurado are in the tandem right now. Mendez started the season in the bullpen and I know the plan was to get him back into the rotation at some point. I know a lot of the focus with him has been to keep him healthy. Clark: Last year we only had him for 31 innings and we had to shut him down. Our goal for this year was to get him to around the 90-inning mark. We see Mendez as a high-ceiling starter. He has a good feel for all three of his pitches. Sometimes a pitcher like that can become bored on the mound. So, just keeping those small, short-term challenges for Mendy has been the thing for him mindset wise, versus just looking at the results all the time. The two of them have gone in tandem the last four or five starts. Is there a a point where they will break back out as individual spots? I know with Mendez you want to build up the innings and do you see that with Jurado as well? Clark: Both of them, we’ve got to control their innings. You won’t see them be by themselves, other than the tandem, until the playoffs. We’ll keep them that way. We’re committed to keeping this rotation together. We’ve tried to build this rotation how we have in the past with a couple of different rotations that’s been here to kind of keep five or six guys together, as they go through the system, I think competing against each other. But to answer the question of those two, I think they’ll have to stay on those things just from the innings standpoint. Let me get an update on Luis Ortiz’s progress after being out the past month. Clark: He went to Dr. (Keith) Meistner, our team doctor today. He should be back. We got good reports from him. We didn’t think it was nothing severe in anyway. We’re going to start seeing him do his throwing program next week and he’s going to start doing bullpens. So, we’re probably looking to see him realistically sometime in mid-August. Stuff wise, for the most part, he looked really good. Clark: Obviously, he’s got stuff. He was drafted in the first round for a reason. Our job is to not worry about stuff, but to cultivate all the maturity things that goes in to being a starting pitcher at a high level. So that’s the process that he’s going through. He’s doing a lot better in his workouts. He’s doing a lot better, really, just paying attention to detail that goes into it. Obviously, we have a high ceiling for Luis. We think a lot of Luis. It’s just the process that he and a lot of guys have to go through. Collin Wiles. Everyone I’ve talked to raved about his off-season work and how he put it into practice this year. What sort of challenges does he have left at this level before he moves up? Or has he shown you that he’s about ready? Clark: In some ways, yes he has. I go back to Collin finally committed to having ownership of his career. I think it started there. I don’t think there was no one that was involved other than Collin. Going forward, I do see sometimes, do we challenge Collin and send him to High Desert? I think it goes back to the philosophy of what we build the pitching rotations around, competing against each other more than the opposition. So we’ve decided to keep those same six guys together. Could he go? Yes, he probably could, but I think long term it allows him to compete against this team. Let me ask you about a couple of guys of interest to me. Scott Williams was a guy that didn’t pitch a lot in college. He had trouble hitting the strike zone last year and a little bit at the start this year. Since early June, he’s found a groove and found the plate. He seems more comfortable with the off-speed pitches. Your view on him. He’s a converted guy, who was a position player in college. So, anytime you convert someone it’s usually a year process before you start seeing more fluidity as a pitcher. Last year, he kind of threw like a position player. I think Oscar’s done a good job as far as getting his hands more relaxed on the mound and getting his body in a better position, and then obviously confidence and results. When you have good results, confidence builds it, and it continues to go for him. Yesterday, I was very impressed with him. More than anything, yes I saw the velocity, but I saw the easiness of the delivery. It wasn’t compared to last year, where I thought he forced a lot of things on the mound and tried to muscle the ball there, versus allowing his arm to carry the ball. Let me ask you about Cody Buckel and his ups and downs. I know it’s been a long process. He’ll have some good days and he’ll have some not good days. Where do you see him in that process? We all know Cody and he had a lot of success at an early age. Sometimes, that’s a fault, because we push him and he goes to big league camp as a 19-year-old and flies through A ball and AA. Cody’s in a situation right now where I’m more concerned with how Cody is as a person. I focus on those things with Cody. We don’t try to focus on what he’s doing on the mound. Cody’s an outstanding person, a young man that’s got a lot of upside in whatever he does after baseball. So, I think we focus more on that with him right now and try to get some of the attention off of him, as far as being a pitcher, but just being an everyday person. You’ve got a couple of guys sent here in Erik Swanson and Shane McClain. McClain seems to be a guy that can be used in various roles. Swanson at the back end can throw some heat. What are they here to work on? Swanson, we held him back coming out of spring training. I see him as a starter eventually, so you’ll probably see him the next six weeks start building into more of a starter role, as we do some different things with some of the starters, maybe giving some guys some breaks. I do like his fastball. He does have to do some things to keep himself in top shape. I think McClain is a guy who had a very good spring. He signed as a free agent last year after the draft. We felt like maybe we could push him a little bit to High Desert. Probably looking back, and I have told Shane this, we should have started him at Hickory and let him get his feet wet before we sent him going forward. So I take the blame for that more than anything. We can use Shane in a lot of different roles. He started for us in High Desert for a couple of spot starts. He can give his length and multiple innings, back-to-back days. So, he’s a very versatile pitcher. Austin Pettibone has been interesting coming into the rotation. I know he started for you before. He can throw low to mid-90s and he’s talked about developing his changeup. What can you say about his development? Austin was a starter in college. Coming out of spring training, you can only send six starters to a full-season club, so we had him starting in extended knowing that at some point that we were going to send him here. We just had to find the right time. I see him as a sinkerballer, groundball type guy, He’s a mature guy. He’s a mature college pitcher. So, we kind of expect some of these things to happen here. We’re just now getting him stretched out. Really, in my mind, it’s a little early to make a decision on Austin whether he is going to the bullpen or if he is going to be a starter. Let me ask you of one other guy and that’s Nick Gardewine. Another guy, like Pettibone, who started in the bullpen before coming to the rotation. He’s had some ups-and-downs, but had a nice last outing. Nicky was a guy coming out of spring training who got hampered with a foot issue. So, we brought him here out of the bullpen. He was building up as a starter, so I felt like he got behind the eight ball there for about the first month. Nicky, for me, if his slider is on, he’s going to go deep in the game. He’s got to be able to have a better feel for his change. Until he can do that, I feel like that he, right now, is a two-pitch pitcher from what I saw a couple of days ago. He knows that and that’s things that he’s got to work on. I still think Nicky’s a young guy – he’s a little older than most of the starters here – but when we get some innings on him, I foresee him down the road. Could he be a starter? Yes. Could he go into the bullpen? There’s a lot of options there because he does have a good fastball. This year has been the first year, I can recall, of having a six-man rotation, with the idea that you’re not going to skip starts in the middle of the year like what has happened in the past. Has that gotten the results that you were looking for, as far as keeping guys healthy for the year? We hope so. I don’t want to speak too quick on it because we’re doing it here and High Desert and Spokane. We’re doing it at all our lower levels. I’ve seen, as far as our velocity goes, more consistent velocity going across the board. Typically in a five-man rotation at the lower levels, you hit June and August, you start seeing velocity drop. So, I haven’t seen the drastic drop as I have in the past. So, that’s one thing. Obviously being healthy, we’re seeing good signs of that. There’s a lot of positives to it. I think if you ask me the same question when the season’s complete and we start getting more concrete data, I might have a different opinion about it. As of right now, I like the flow of it. I like what I’m hearing from the pitchers and from the pitching coaches. I’ve got to ask you about Brett Martin. He had a rough time in his last outing, but was obviously very sharp tonight (July 16 vs. Greensboro). He talked about having to stay within himself to make things work for him. I thought he showed stuff early. Then after his stuff early, around the fifth inning he had to work himself out of some jams. I thought Martin’s fastball obviously was probably 93-95 tonight. His breaking ball for me was probably the least pitch of the secondaries. He tended to pitch to his changeup. Brett’s got a very high ceiling. What I don’t think a lot of people understand with Brett is that you don’t teach the things that Brett has and he’s got a lot of God-given talent. To me, I was more pleased to see him finish the seventh. I went out there to basically talk to him and see where he was at. He said he wanted to finish the seventh, and so I thought it was a huge development for him. The Hickory Crawdads currently has the best record in the South Atlantic League at 50-29 (through July 5). 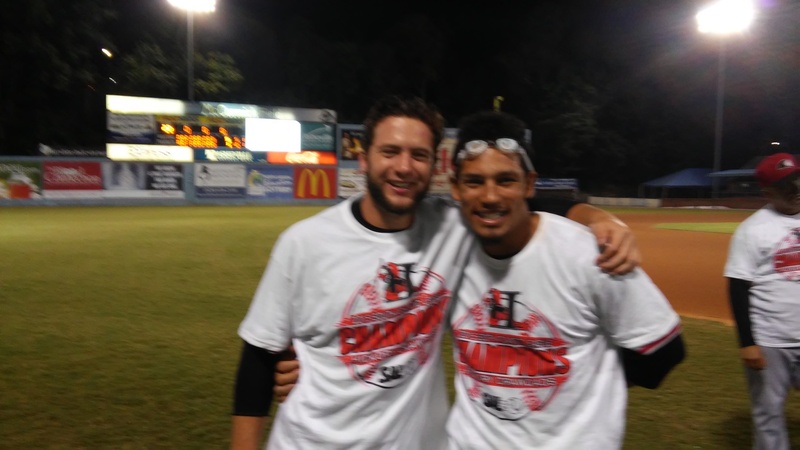 While the Crawdads cruised to the first-half Northern Division title – clinching a playoff berth in September – the name of the game is first and foremost player development. In that aspect, the Texas Rangers have much to celebrate with the Crawdads roster, especially where the pitching staff is concerned. Mike Daly, the Senior Vice President for Scouting and Player Development of the Texas Rangers, was in town during the recent weeklong homestand to get an extended look at the Crawdads in action. The following is an interview I did with Daly during which he talked about some of the top pitchers on the staff – and assigning them to High Desert – a few of the top hitters, as well as the on-going struggles with Jairo Beras. In the first half of the season the Crawdads were the best team in the South Atlantic League by record, and a lot of days, the best team on the field. The Rangers brass had to be excited with how the team played in the first half. Mike Daly: Yeah, we’re certainly proud of the players and the staff. 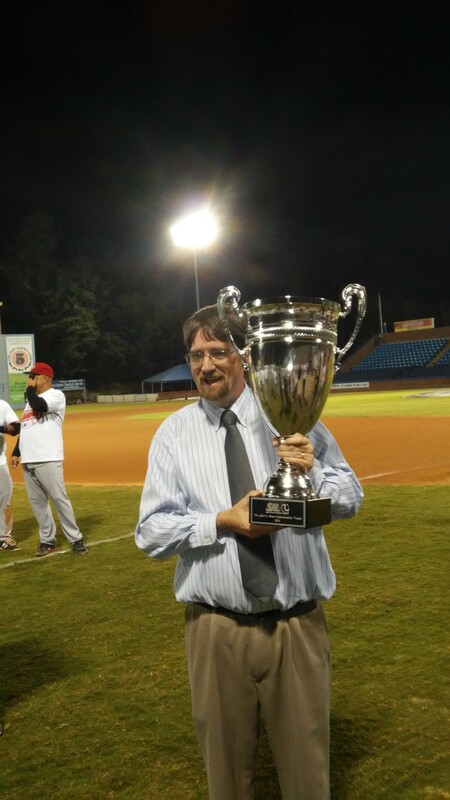 I think it starts with Corey Ragsdale, an outstanding manager who’s closing in on the all-time record for number of wins here – not only for the number of wins in Hickory – but with what he’s done taking on a really young group of players and bringing them together. Each of the players get better individually but also as a collective group. They’re playing for each other, pulling for each other and ultimately winning a bunch of games. We’re very pleased and very proud of the group here in Hickory. You mentioned the staff and Rags is here for the third year and seems a lot more comfortable with himself. You see the growth from him over the three years. It’s obvious that he’s in charge and the guys like playing for him, to a man. Daly: Absolutely. Corey does a number of things very well. First, he has outstanding baseball knowledge. He knows the ins and outs of a baseball game. He has a very keen eye for what players need to do and how they need to develop on the field. But then off the field, he has presence and he knows how to handle the clubhouse and the players. They respect him and enjoy playing for him, but otherwise they know who is in charge. We’re thrilled to have Corey in the organization and we’re very, very happy with what he’s done with the club so far in 2015. As far as the first half the pitching staff, almost night in and night out, is getting five, six, seven innings in every night and then turns it over to a what’s been a pretty good bullpen for the most part. 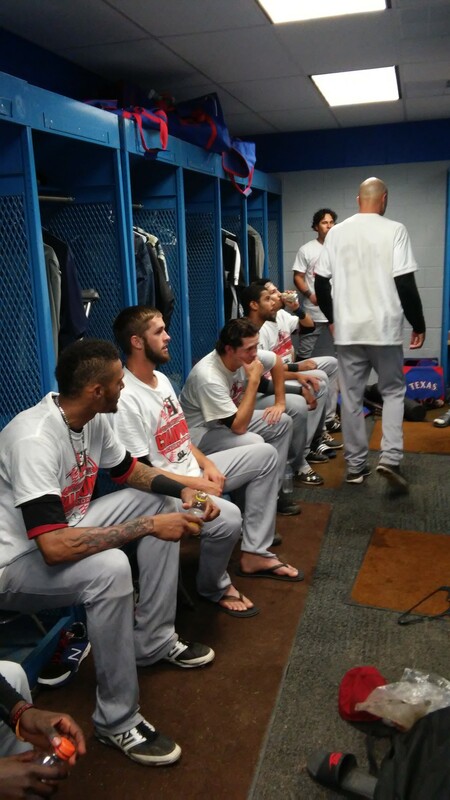 Daly: I think that was reflected there in the all-star game with how many selections we had off our pitching staff. I think what’s really good is these guys push one another. So, when Ariel Jurado goes out and has a good outing, now Brett Martin wants to go out there and top him. Then Luis Ortiz, he wants to go out there and do better and Yohander Mendez wants to show where he’s at. Nick Gardewine wants to do that and Collin Wiles wants to do it better. So it’s a real good internal competition amongst these guys each and every night. It certainly gives our ballclub an opportunity to win and it always starts with the starting pitching. These guys have really stepped up. It’s really, really fun to watch these guys compete against one another. Jurado was not somebody that people read a lot about before this season. He took the ball the first night and for the most part at every start he toes the rubber and goes seven innings. Daly: He’s been outstanding. He was one of the six starters that we wanted to send out here. That’s a big credit to Brian Shouse, who is our pitching coach in the Arizona League and pitched a number of years in the major leagues. He dropped down Jurado’s slot from a high slot to more of a low three-quarters slot, which he throws now and really helps his fastball move. He gets a ton of ground balls with his sinker. He throws a lot of strikes and mixes in his breaking balls and his changeups very well. He’s throwing a curveball now, which is another nice toy for him? Daly: Absolutely, and he has a real good feel. When guys have power – nd he has a fastball that he can run up there over 90 miles an hour – and then he’s able to break out his offspeed pitches, it really puts hitters on their heels. His sinker is obviously his money pitch and when he’s able to throw the other offspeed pitches for strikes, it puts hitters on their heels. We’ve seen that with the performance of Jurado. Luis Ortiz has had a couple of wrinkles, but numbers wise he has a low ERA, good WHIP, a ton of strikeouts. I know you’re kind of pacing him along, especially with the arm fatigue. What is your evaluation of him at this point? Daly: We’re really happy with Luis. I think our goal was for him to get out here on opening day and to get through the whole season. A player learns a ton, especially a player coming out of high school, going out for the first time and getting through a full season at a full-season club. We’re really happy with what he’s done throughout the year. Obviously there’s a little bit of a setback here with the arm fatigue. We’re looking to get him back here probably in about a month or so. But we’re really happy with where Luis is. He’s working on all his pitches. His changeup continues to develop as does the power fastball and a good breaking ball. Collin Wiles is another guy that has been good night in and night out. I’m honestly a little surprised he’s still here. Let me ask you about his development and where he goes from here. Daly: We give Collin a ton of credit. He had a very good offseason. I think he really took ownership in his offseason program and really invested in where he was at in his career and it’s paying dividends on the field. He’s able to throw all of his pitches for strikes at anytime in the count. He has an extreme amount of confidence on the mound and that come through. I think that’s due in large part to the work that he did in the offseason. He came into spring training very, very focused and that’s carried through here in the season. We have had some conversations about challenging him at the next level, but we’re really happy with where he’s at, how he’s pitching and how he’s performing. With his age, as a high-school player coming out of Kansas City, we still feel that there’s some challenges for him here at the low-A level. But we’re really happy where he’s at. This is not necessarily about Collin, but just in general. How much does the High Desert situation play into you advancing guys and not wanting to tax them at that spot versus maybe they need that challenge? Daly: I don’t think it’s so much about High Desert. I think it’s more about the individual player and where he needs to be challenged or where he’s at in his career. If you look back when Arizona was at High Desert, they sent John Patterson and Brandon Webb and Brad Penny. So there have been pitchers that have been very successful major league pitchers that have gone through High Desert. But I think our decisions are based more on the individual player and what they need and where we see they’re at in their careers in terms of promoting them or having them go through High Desert or not. We’ve had some success. Frank Lopez is a guy who pitched here and had some success early on at High Desert and he earned a promotion up to Frisco. There are pitchers that can go out there and have had some success. I think it’s a very good learning experience if you’re able to pitch in High Desert in those type of conditions. Is there a mental component that plays into that at times, where you might be hesitant to send somebody there because if they get lit up with the easy home run, you worry about the psyche? Daly: I think that’s part of like each individual guy. I think our coaches have a very good feel for each individual player. We do talk about it amongst our staff, amongst our coaches about what’s best for each individual player. Some guys have gone out there and taken on that challenge and were able to overcome High Desert. That usually bodes pretty well for success at the next level. Let me ask you about one other guy and that’s Yohander Mendez. He was here and there last year because of the shoulder and other injuries health wise. He had a good year out of the bullpen, but I know the object has always been to get him back into the rotation. You’ve got to be pleased with where he is at this point. Daly: We’re very happy with Yohander. We had a couple of setbacks with some injuries in his career. I think the goal was to start him out in the pen this year with some short stints to try to keep him healthy. He’s done that and has been able to post every time that we’ve asked him to pitch. Now, I think, his goal has changed in terms of, can we build strength. He’s done a nice job with Wade Lamont, our strength and conditioning coach, in terms of putting more weight on his body. I know it doesn’t really show, but he’s up to over 200 pounds. That’s a huge credit to Yohander and the tireless efforts of Lamont. Obviously Oscar Marin (Crawdads pitching coach) has done a real nice job with him last year and this year. We’re really happy with where Yohander is at and obviously it’s showing on the field. Let me go to the hitting side of the team and start with Josh Morgan, who had a rough start getting his feet wet, but the last two months has done well. Daly: Definitely, he’s certainly found it. He’s one of the guys going through his first full-season year. I think in April the hits weren’t falling, but he continued to have an outstanding makeup. He’s a very, very hard worker. He believes in the talent and we believe in the talent as well. I think that we’ve seen that over the past couple of months with the consistent approach and the consistent work ethic and those hits are falling. 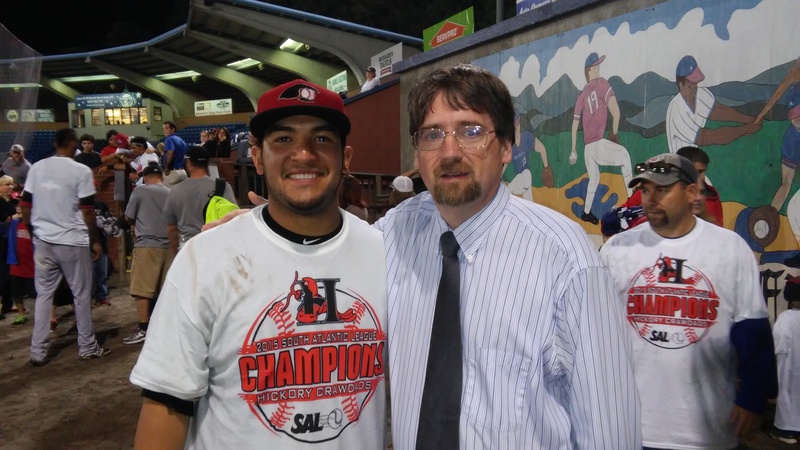 Obviously, he’s been a huge part of the 2015 Crawdads. A guy that has been the glue or spark plug, or whatever cliché you want to use, has been Jose Trevino. I know it’s been his first full year of catching and I know that’s gone well. But all around he’s a guy that keeps the clubhouse together. Daly: We’re very, very, very happy with Jose Trevino, not only defensively, but offensively. There’s a lot of stuff as a catcher that you need to work on in terms of your own defensive, knowing the pitching staff , being able to help your pitchers get through each count. But then he’s able to step into the box with his bat and be very productive in the middle of the lineup. So, we’re really happy with the things that Jose has accomplished so far both offensively and defensively. You see the makeup and you see how he’s able to keep his focus together. I’m going to go to Jairo Beras, who had the rough start not running out a batted ball the first night. He had a good couple of weeks here where it seemed like he was seeing everything, but then he gets into another thing last night where he doesn’t run it out. Let me ask you about him and what is a tough situation. Daly: Jairo is somebody there have been some ups and been some downs. I know last year he had a very good second half here in Hickory. It looked like he was going on that path again here and have another strong second half in 2015. Part of the process is not about numbers, but part of the process is about playing the game the right way. I think Corey’s done a really good job of handling the situation with Jairo. 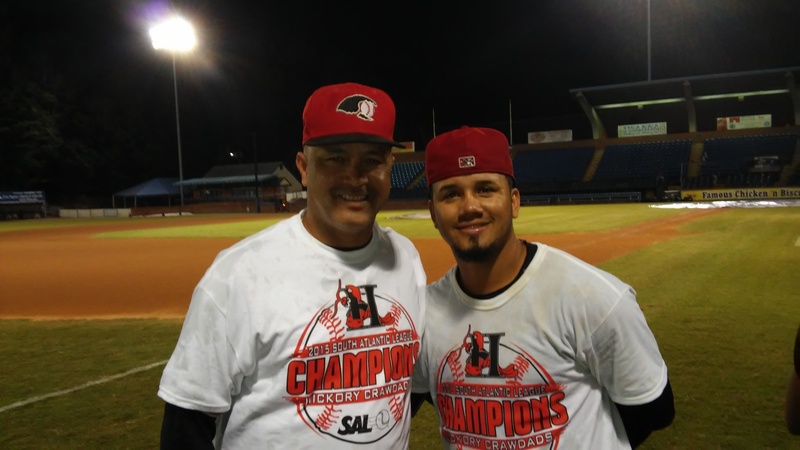 We’re still very excited about Jairo and I think he’s still going to be a big part of this Crawdads team over the last couple of months. I think his at bats are getting more consistent. He’s seeing balls batter and he’s using the whole field. He had a nice double down the right field line. He’s walking a little more. I think that there’s some stuff, just with player in development, there’s some ups and some downs, but we’re still very bullish on where Jairo is and his status in the organization. 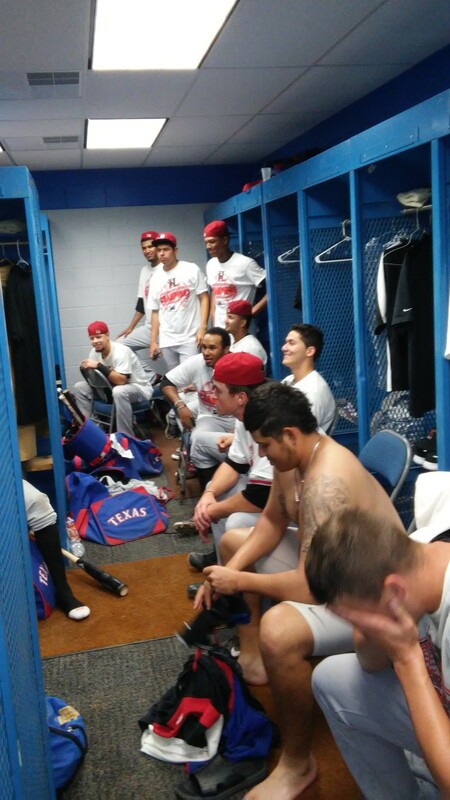 You mentioned that you’re excited about Jairo and the Rangers are excited about Jairo. Is there a point where Jairo is excited about Jairo and there are not the mental lapses? Daly: You hope so, yes. I would fully expect that to happen. When that happens, I’m not sure that anybody knows. It’s really up to the player to decide that they’re going to do the things each and every day that’s part of being a professional player. I think it’s really up to Jairo. Our job as an organization is to support him and when he doesn’t do the things that he’s supposed to do to correct them and teach him and to make sure he learns from him. Ultimately, it’s up to Jairo to make those changes. Michael De Leon. The hitting is still not quite there. He’s still only 18 and the strength is getting there, but defensively, what a wizard. Daly: With Michael last year, it was really the year of opportunity. When we signed him in 2013, nobody thought that in 2014 that he would play the majority of his games in Hickory. None of our guys that we had signed in their first year – Jurickson Profar, Rougned Odor – none of those guys spent any time in Hickory. There was an opportunity last year with the number of injuries. To his credit, he took advantage. I think there are still challenges for Michael here at this level, but he’s done an outstanding job. When he can play defense like he can play defense at shortstop, he’s always going to have the opportunity to play. The manager is going to want to get you in the lineup based on the defense that he provides. He hits at the top of the lineup and makes a ton of contact. He’s going to get bigger and stronger. I know that Wade Lamont is working with him relentless to try to get him faster and try to get him bigger and stronger. But, when you have a shortstop that can play that type of defense, the pitchers really appreciate you, and the manager’s always going to find a way to get you into the lineup. That’s his calling card is his defense right now. Let me ask you about one more guy and that’s Tendler. He had a hot start and then went into the slump, but you get the feeling that he’s coming out of some things. Daly: I give Luke a ton of credit. Luke came into the organization last year and right away has been all about baseball. After Spokane – he had a real nice year there – he spent the winter in Columbia. He went down there on his own and went to the Columbian Winter League. The first time we’ve ever had a player right out of the draft make the decision on his own to go down to Colombia. So, he really invested in his career. He really wants to be as good as he can. I know that he came into Hickory this year and was on fire in April and in May. He was producing maybe better than he thought that he was. Right now in the slump, he’s better than he’s showing now. We’re really happy with Luke. Once again, a guy going through his first full season and it’s hard. A hundred-and-forty games is a long season; it’s a grind. He’s done a real nice job. He’s a big part of the Crawdads team. I know that Corey has a lot of confidence in him and we’re going to continue to run him out there and he’s going to figure it out and be a big part of the team here. Who has surprised you that maybe you didn’t expect to put together the season they have? I think like the back end of the bullpen was really good. Parks and Fasola, both of those guys, especially Fasola, coming in and closing the door and saving a lot of games. I know that Corey had a ton of confidence looking down there in the eighth or ninth inning and bring in big John to close out the game. Obviously, John pitched very well and earned himself a promotion up to High Desert. So, I think John Fasola coming in and taking the reins of the closer role and earning a promotion was the biggest surprise here so far. Daly: Been good. He can always hit. He hit close to .400 in the Dominican Summer League his first summer out. I think his big key is staying healthy. That’s something he continues to manage each and every day. He can hit, but his ability to on the field is the key.